Some books are born again. Every book with a political theme aims to be prophetic, and only time can reveal their success or otherwise. Orwell’s 1984, Bloom’s The Closing of the American Mind, Huntington’s The Clash of Civilizations, Faye’s Convergence of Catastrophes are all books whose time has arrived. 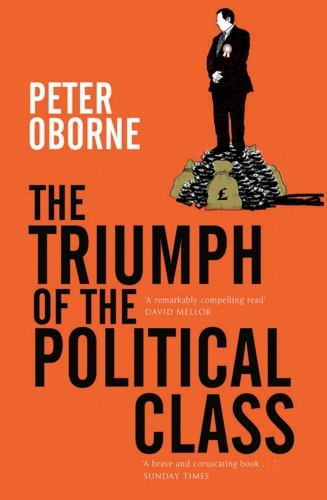 It is difficult to believe that one such book is a little over a decade old, but Peter Oborne’s The Triumph of the Political Class (TPC) has never been as relevant as it is today. The book concerns itself solely with the United Kingdom, although its main thesis is relevant to the USA, as well as to the gauleiters of Europe. Oborne is a well-respected British journalist. As what is termed in Britain a lobby correspondent, he has access to the innermost workings of the ‘mother of all parliaments’, as politician John Bright described England’s governmental locus in 1865. TPC, as dazzling as it is, naturally made Oborne enemies within the very elite whose rise and victory he describes in the book. For Oborne gave the game away, like the heckler in the audience who sees and tells his fellow spectators how the magician on the stage is working his wonders, or little Toto pulling back the curtain to reveal that the Wizard of Oz is just an eccentric old man with a set of cogs and levers. Oborne’s essential theme is that “the real divide in British public life is no longer between the main political parties, but between the Political Class and the rest.’ (p. xvii). This class, he writes, replaced the old establishment and its standards of governance. Instead of public servants entering parliament from many walks of life, politicians in the UK are now unlikely to have worked outside of journalism, PR, advertising, or the legal profession. Very few have experience outside the world of politics, and the established route is from one of the top universities, Oxford or Cambridge, usually studying Politics, Philosophy and Economics, famously known as PPE. The next step is an internship, working for an established politician. Some may become specials advisers, or SpAds as they are known, to a working politician. This tier of government has largely replaced the function of Britain’s long-established Civil Service, and is illegitimately funded by the British taxpayer. It is also wholly politically orthodox. As Oborne emphasises, any opinions or ideological beliefs outside the accepted protocols will disable a political career before it has even begun. This incubation of political agency has serious consequences. Politics ceases to be an active, deeply social and communitarian practice and becomes instead occupied by a technocratic cabal convinced that they are best equipped to improve the lot of others. The results of this in the UK is a country well on the way to ruination. Increasingly Sovietised, Britain – and particularly England – is being run by malevolent arch-bureaucrats, a managerial class more concerned with appearance than reality. As Orwell famously wrote, in The Lion and the Unicorn, England is a family with the wrong members in control. Oborne credits 19th-century Italian lawyer and social theorist Gaetano Mosca with the coinage of what he called the classe politica. Mosca’s major work, Elementi de Scienzi Politica, is now seen by the new establishment as a precursor to Italian fascism under Mussolini, and this is a clear example of the ‘fascist’ or ‘far Right’ tag being applied by the Political Class and their provisional wing in the media to anyone who gives the game away. 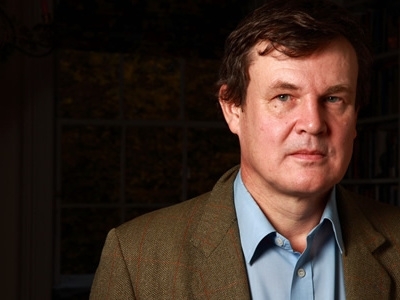 Oborne updates Mosca’s 1896 insight, and describes how the modern Political Class – I will follow Oborne’s practice of capitalising the words in this phrase – has devoted itself to the destruction and replacement of the Establishment. Speech, vocabulary, dress, lifestyle; all of these elements serve to identify the new regime, and have been standardized to produce a homogenous tier of operatives who now serve themselves only, and their shadowy backers in the business world. Oborne stresses that the political class is the result of a toxic amalgam of 1960s student agitation, technocracy and, in particular, Communism. Ostensibly defeated with the fall of the Berlin Wall, Communism in fact merely hibernated and emerged in a different guise. Oborne relegates his comments on Communism to a footnote, but it should not elude us. “Although Communism has enjoyed barely any electoral success in Britain during the last 100 years,” he writes, “its influence has been exceptionally strong among the governing elite…” (p. 47). Communism, the spectre haunting Europe with which Marx famously opened the Communist Manifesto, is now a revenant. The EU is notoriously staffed, in its upper echelons at the very least, by ex-Communist sympathisers and even members. Angela Merkel’s Communist past is well known. The Red Menace never went anywhere, it just changed its livery. This lingering of Communism explains Oborne’s observation that ‘the Political Class has at all times resented and sought to destroy the free-standing status of British institutions.’ (p. 49). 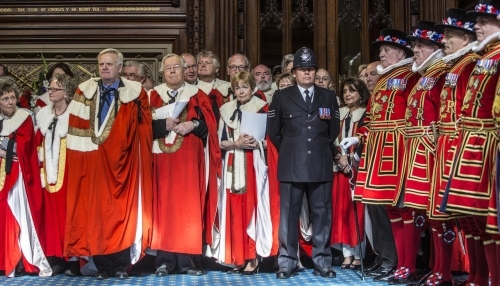 And it is the destruction or infiltration of the great British institutions that Oborne delineates, as each one is shown to have fallen to this triumphal Political Class, making as it has a long march of its own of which Mao or Gramsci would have been proud. This factional overthrow serves but one purpose, that “the instinctive priority of the Political Class has been to expand the role and powers of the executive and its proxies, sacrificing civil liberties if necessary.” (p. 183). The inevitable attacks on the British monarchy are highlighted, seen as it is by the new rulers as an archaic irrelevance whose popularity with ordinary people they despise. Parliament, and its essential function in what was a democratic Britain, has been undermined as a direct result of the journalistic backgrounds not just of MPs, but of advisers to government. “All important announcements”, writes Oborne, “are now made through the media, and only as an afterthought through the [House of] Commons.” (p. 201). In addition to this sidelining of an ancient democratic process, Oborne shows the way in which the Parliamentary Commissioner for Standards had had his or her role watered down and weakened. 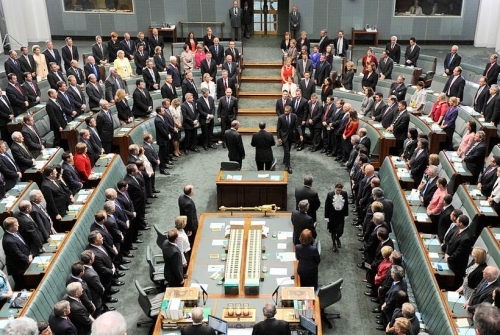 The Political Class does not wish for scrutiny, at least not of itself. The people, of course, are another matter. Great Britain has around a quarter of the CCTV cameras in the world, far more per capita than Russia or North Korea. The section of TPC dealing with the Political Class’s capture of the British media is exemplary of how democracy in Great Britain has been subverted. Oborne writes that the Political Class has “sought to give an almost constitutional role to the British media by building it up as an alternative to existing state institutions.” (p. 234). In short, the British government and Her Majesty’s Opposition now use the media as a glorified advertising agency. ‘Client journalists’ now do the work Parliament used to do. This pact is compounded by a sleight of hand which effects to produce the myth of a ‘hostile media’, that is, a fourth estate which still fulfils its original role in speaking truth to power in any meaningful way. It does no such thing, of course, and any journalist who dissents from this arrangement will soon find themselves filing their copy in the backwaters of a provincial newspaper. The role of the media in the Iraq War is focused on briefly in the book, and as an exemplar of the way in which the UK Political Class now uses the media. This war is still the most disgraceful chapter of Tony Blair’s tenure as Prime Minister, and Oborne lays out clinically the way that the British press, and the BBC, conspired to paint a flattering, Dorian Gray-like picture of Blair as war hero, when in fact it was the lies told by him and his jumped-up press secretary Alastair Campbell – very much a villain of Oborne’s book – that initiated that wholly spurious and ruinous conflict. The great losers in this Caesarean and triumphalist rise to power are, of course, the British people. They are now treated as a set of consumerist statistics to be manipulated and triangulated. Indeed, as Oborne writes, “Members of the Political Class… regard civil society as a threat because it represents a giant area of the public domain which stands outside its control” (p. 329). With serious calls from the likes of Tony Blair to have a second and even third Brexit referendum, the contempt that the Political Class has for the ordinary people they are supposed to represent is clear. The EU’s disdain for its citizens is even more apparent, and entire countries have already been made to vote more than once for continued membership of this corrupt bloc, the elites simply recasting the vote until it goes their way. With British politics currently rudderless, and becoming more impotent by the week, it is tempting to herald the unravelling of Oborne’s Political Class, in the UK at least, and my only disappointment with TPC is that Oborne spends little time on technocracy, the fallacious idea that government is best suited to improve the lot of its citizens by virtue of its collective expertise. Having myself worked and clashed with management companies for the past ten years, I can see the parallels between management and government, and the willful blindness of those who believe they are the experts. Oborne’s book is eerily prophetic, and shows what he calls the architecture of the Political Class. Any tremor which threatens to shake the whole is to be feared and attacked. In the same way that the average Republican is aghast at the victory of Donald Trump, so too the British political class would resist any attempt to alter its fundamental structure and aims, even if its own putative party were in power. Brexit is, of course, the most obvious example of resistance and, in the same way that the deep state is confounding Trump’s attempts to govern, so too the EU, in collusion with Britain’s own deep state, will not allow Brexit to happen without fighting to the last redoubt. Towards the end of TPC, Oborne writes a paragraph that is a distant echo of Orwell’s famous statement, in his most famous book, that the only hope lies with the proles. It is profoundly to be wished for that these two great visionaries are right. [It] is almost certain… that the next great political movement will come from outside the Political Class. Just as the Political Class has emerged from the wreckage of the party system, so it is certain to produce its own antithesis. At some stage a British politician may well discover a new language of public discourse and methodology of political engagement which communicates simply and plainly to voters. (p. 331). Should this language and methodology ever be discovered, Peter Oborne’s prescient book will serve well both as its dictionary and instruction manual.